PhD student Ryan Beaton’s research is tackling the inadequacies of an outdated legal doctrine for resolving Aboriginal land claims. He was awarded a Trudeau Scholarship in 2017. UVic Law is widely regarded as one of Canada's finest law schools. We have internationally recognized faculty members, a collegial atmosphere, a stimulating intellectual environment, and a strong commitment to social justice. Our faculty has a pluralistic academic environment that encourages a variety of approaches to legal scholarship (including, but not limited to, feminist, historical, comparative, analytical jurisprudence, and critical legal theory). Our LLM and PhD programs provide an opportunity for advanced research at the intersection of law and society. Our graduate programs are challenging, collaborative, and interdisciplinary. Students work closely with each other and with leading scholars in law, anthropology, political science, sociology, philosophy, and other fields. 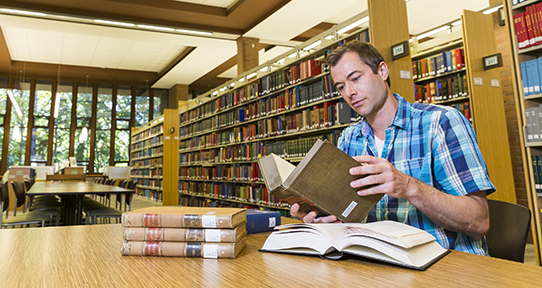 Students take courses in legal theory and research methodology, as well as in other faculties. Explore the links on the right side of this page to find out more. Although research and teaching obligations of individual faculty make it impossible for us to guarantee supervision in these and any other areas in a given year, we do our best to match each student with a faculty supervisor that has depth in the student's chosen field. Our students become accomplished researchers, assuming a role as producers, not merely consumers, of legal knowledge. They present their work to each other and to the wider academic community at conferences. Meet some of them on our contact a graduate page.